Life insurance according to Italian Law. Pursuant to Article 1919 of the Italian Civil Code, an insurance contract can be signed on our own life or that of a third party. The insurance contracted for the death of a third party is invalid if that party or its legal representative does not consent to the conclusion of the contract. The consent must be evidenced in writing. 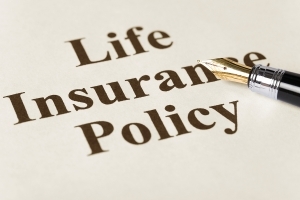 The life insurance's contract is valid also when a third party is designated as beneficiary by the policyholder. The designation of beneficiary may be made in the contract of insurance, or a subsequent declaration in writing and communicated to the insurer by the policyholder, or by will. It is valid even if the beneficiary is generically determined. He doesn't need to give his consent to the designation. As a result of the designation, the beneficiary acquires a personal right to the benefits of insurance, that means he saves his rights of beneficiary even if he dies before the policyholder. In this case, the rights of the beneficiary are transmitted to his heirs. The designation of a beneficiary is always revocable by the insured (not by his heirs). The revocation must be in writing and shall be communicated to the insurer. If revoked by the policyholder before his death, the beneficiary loses all rights on insurance.